Today's posts is very important - Do yourself a huge favor - read it & comprehend it. 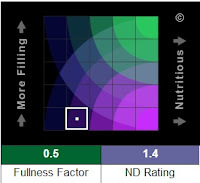 I am going to talk about nutritional density and fullness factor and understanding this issue is the basis for understanding how the best diets in the world work. This is new stuff!! Calorie restriction that uses this concept to optimize the number of years you live on earth. Doctor Fuhrman's "end of diabetes" diet that optimize your chances of getting rid of diabetes. Weight Watchers diet that optimize... well optimize the inflow of money into the pockets of the owners. 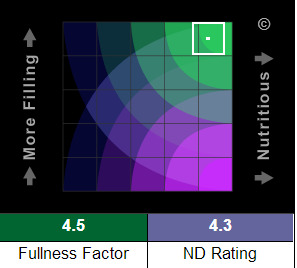 So first of all I would like to say that all of the information from this point onward - I got from this absolutely wonderful website: nutritiondata.self.com. I urge you to take a look and use this site as a great reference for optimizing your diet. Today I am going to talk about the nutritional target map which is nutritiondata.self.com's trademark. 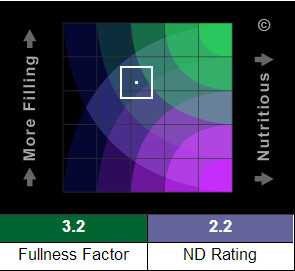 Each food gets two marks: its fullness factor and its nutritional value and thus is located somewhere on this grid. The vertical axis is the fullness factor. Foods that are located at the top are very filling. That is - you eat them and you feel full. Food that are located at the bottom part of the grid are food that you eat and eat and eat and you never feel full. 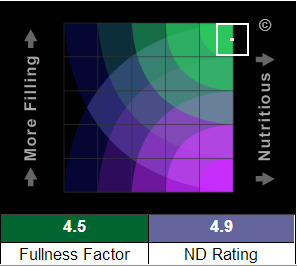 The horizontal axis is the nutritional value. Food that are located at the right side are very nutritious. That is they have more nutriants per calore. You can think vegtables here. 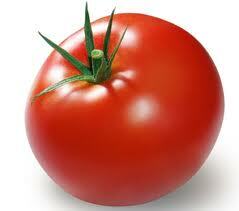 They are full of micronutrients, vitamins, phytochemicals and you get tons of these with few calories. On the left side you have all the food that give you nothing in return - you invest your calories, but you stay hungry, your body doesn't get what it needs. This is one reason why some people can't lose weight using the weight watchers method. It is perfectly ok there to eat a cake here and there but then the person is wasting his points on something that doesn't give any nutritional benefit. Then, after a while, the guy (or actually the lady) becomes hungry again. So the trick is to make sure that most of the food that you eat is at the right side of the grid- high nutrition density. Also you want to reduce the number of calories, you want to eat less - so that's the fullness factor - you want to be at the top right corner of this chart in order to eat less food, feel full and get as much nutrition as possible with the few calories. "A flaky pastry folded around a generous serving of cream cheese filling" mmmhoo whooo... yum, yum, yummy. 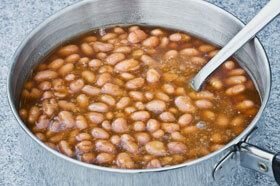 Unfortunately this is one food you should avoid - it has almost no nutritions and you won't feel full after eating it. Do you get it? 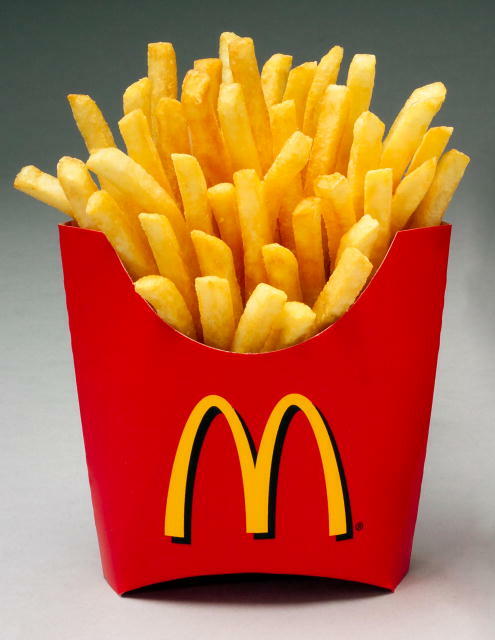 Do you understand why you end up fat after eating this? it's because you are hungry for more after this, it's because it has no nutritional value and your body neeeeeds nutrition!!! 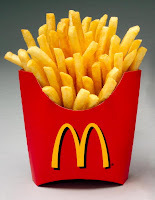 OK let's look for one healthy food that I shall consume in large quantities in my diet. Now this is what I call an ideal food - it is very nutritious and it is filling you and soothing your hunger. Amazing stuff. 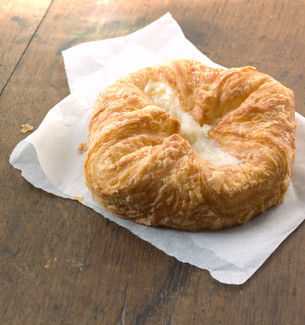 This one is 4% fat but it doesn't matter much. It's quite fullfiling - that is after you eat it - you are ok in terms of hunger but look at the nutritional value... - it's very average. Now let's go back to real food - shall we? As you can see - extremely nutritous and very fullfiling. Now this is true for almost all veggies, they are super nutricious and super fullfiling. You eat as much as you want and you can never get fat. Actually - the more you eat - the thinner you get. Do you know why? Because they are so nutritious that your hunger shall go away. First of all - all oil products must be located at the bottom of the chart. I hope this is understood but just in case let me clarify: oil is a product that makes you gain weight, the fullfilness factor is low meaning you are going to consume tons of olive oil before you feel full and on the way you are going to add thousands of calloreis to your belly. So this is something that is common to all oils. 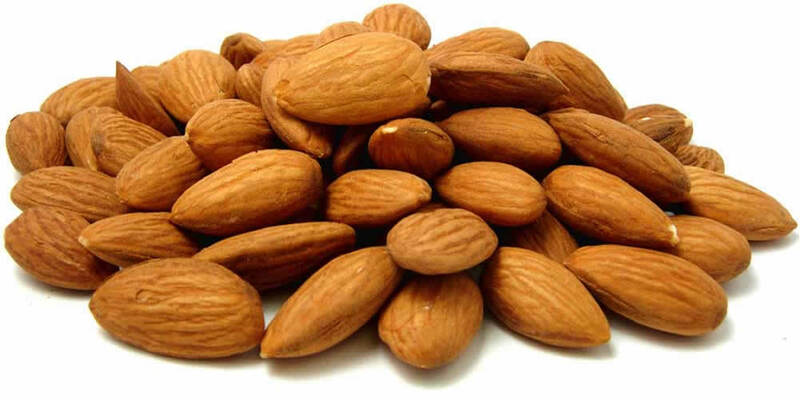 As you can see almonds are not only more nutritious but are also more fullfilling. Now this is not true only for almonds, it's true for all nuts and it's even more true for all seeds. You want to flood your body with nutrients to let it feel great and nourished. You want to do it w/o becoming fat. 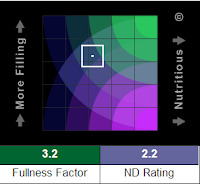 That's why you are looking for foods that are located at the upper right corner of the nutritional target map. Vegetables & beans are great winners. Abandon olive oil - forget about this myth - get your fat from nuts and seeds. I really hope that you understand the information above - this is so basic and so important for having an optimal body.